what is a black mirror ? I have never heard of it. You said scrying stone-like what ? What do you mean trade with them? In conjure we employ spirits of the dead to aid us in our work by paying them (coins, smokes, alcohol etc). Yeah, that what I mean, but not only with dead, there is any spirits as maybe small elemental ones or something else than dead ? Trading with them means that if they want coins, smokes, alcohol etc. they will get it for job that we need to do. Exactly this but there is any good hoodoo-like method to do this? If you wanted to offer payment to a dead spirit in a graveyard, you would approach their grave and leave coins on top, pour liquor, or leave some cigarettes or tobacco on the grave. If you maintain an altar for saints or spirits or ancestors in your home, you can make the offerings there. Talk to the spirits and tell them what the offering is for. I leave glasses of alcohol on my ancestor altar, for example, until all the liquid is gone/evaporated. I mean about spirit pots, etc. To catch spirit or invoke there spirit and trade with them something-for-something or gather spirit in to bamboo and seal it. MaryBee and ConjureMan Ali have both told you: in conjure spirits of the dead are paid for there services. There is no ''hoodoo method'' of making spirit pots, invoking cthonic entities or working with elementals because these aren't practices used in hoodoo - they come from other spiritual traditions outside the scope of this forum. Actually making spirit pots is not unheard of in conjure. These traditions do exist, but generally have fallen out of practice by all except those who remember such things. We find examples of these in spirit bottles, spirit dolls, and similar constructions. For example, in Virginia there was a roots doctor who had a dollie in which he housed a familiar spirit that he'd work with and this man was a straight up roots doctor. Similarly Miss cat's bone collection has a doll head stuffed with graveyard dirt of a familiar spirit, the doll's head acting as a spirit container. These practices exist in three strains in conjure. First they come directly from the practices of Africans themselves, especially those from the Congo. While the Yoruba and Fon also have these practices of housing spirits, the Bantu people of Angola and Kongo had spirit containers as part of their central magical practices. The nkisi/mnkisi are exempliary of these practices. When the slaves were brought over to the Americas, these practices continued to exist in a religious function in the religions of Kimbanda and Palo where you have the assentamento and prenda respectively. However they were also brought to the United States, but because the traditional religious practices did not take root, these practices lost that devotional element. Instead the magical technique continued to be passed down, but without the usual priestly connotations. These techniques still exists today, but we aren't making nkisi anymore, we are making spirit bottles. The second strain of these practices comes from North Africa and the Levant with the making of demon bowls. An example of this can still be found today in the act of placing a cup or bowl of water next to your bed to capture evil spirits. The third strain is seen in the witch bottles of Northern Europe and England. Today the remnant of these practices can be found in conjure in the protective objects known as witch bottles or spirit bottles, but the ultimate manifestation of these spirit containers is the mojo hand which can be seen as a descendent of the nkisi and the medicine bag. It is for this reason taht mojo bags are more than a talismanic object, they are living spirits hoursed in cloth. For more on this subject, consider attending the Lucky Mojo workshops in May, where I'll be teaching a course on the subject and making these objects. Thanks, Conjureman Ali for such an informative answer. Thank you very much for the correction and historical information ConjureMan Ali. And hopefully I'll catch that class in May. You got any results by working with these spirits? They are pretty powerful? There is possible to physical manifestation or semi-physical as in some evo/invocations? These are odd questions and speaks to someone who may be new to this tradition. Of course I've gotten results from spirits. It may behoove you to take some time and learn about conjure and its spiritual tradition before jumping into a line of work you are unfamiliar with. I'm mostly familiar with European tradition which there is no authentic sorcery way in these days as this tradition like witches was mostly oral. Greetings to all from Afghanistan! Hello Lucky Mojo community! I just joined the site, and I must say this seems like a wonderful place to meet and interact with like minds. I am currently deployed in Afghanistan (Army Officer) so anytime I get an opportunity to stay connected to the "world" I take it. I have studied and worked with other African diasporic religions/practices in the past, such as Palo Mayombe and Obeah. I am actually going to be "scratched" in May when I go on leave. However I have always been very interested in Rootwork/Conjure folk magick, yet never had the opportunity to pursue my interest until now. I have recently bought a pleathora of different items from the Lucky Mojo site. My questions are pertaining to working with the spirits in the Rootworker tradition. I purchased the triple strength dark arts mojo hand, and I also purchased the following: Human tooth, Human finger bone(large), Black Cat and Black Dog hair, Mullein Leaf, Snake shed, Couch Grass, Black Hen Feather, Coffin Nails, Devil Pod. ( I purchased much more than this but these are the ones I have a question about) Can I place these in my triple strength dark arts Mojo hand to make it even stronger, so that I will be able to summon more effeciently/stronger pact making ability? I also bought many different oils such as Devil oil, Damnation oil, D.U.M.E. oil, Black arts oil etc. I know in Palo we listen to the spirits to tell us all the additional specific items they want in their prenda. I was wondering does the same line of thought apply to the Mojo hands in Conjure?... I am very excited to participate and learn from all the members in this wonderful community!! Thank you and blessings to you all!! You can either DIE for something or LIVE for nothing!! If you do a spell calling a spirit, if while doing the work it feels as if somebody is present, does that mean it worked? Well, it's likely that you successfully called a spirit to you - however, that does not guarantee that what you are working towards will be successful. Did you talk to the spirit while it was present? Confirm that it was actually the spirit that you were trying to reach? Communicate your desires to it? Ask if it was willing to work for your needs? Get it's agreement to help you? All of these are important elements in spirit work. If you have a method of divination that you are comfortable with, you can use that to help you determine the nature of your encounter and what it means for the work you are doing. Also, you can use it during your work to help you communicate with spirits if direct communication is not a skill you are comfortable with yet. A pendulum is simple to learn and can be extremely helpful in that kind of situation. Remember; if "somebody" is present then "anybody" could be present. I'm working on something, and wondered what herbs, powders or anything else, would draw spirits to them? if you specify what kind of spirits you're wanting to attract, it will determine what kind of materials you'll require to draw them. Several forum members will be able to give you in depth responses since they regularly work with spirits (I don't). To attract angelics, Guardian Angel, Spirit Guide and Indian Spirit Guide products and herbs such as althaea (http://www.herb-magic.com/althaea-leaf.html), holly (http://www.herb-magic.com/holly.html), wormwood (http://www.herb-magic.com/wormwood.html), mugwort (http://www.herb-magic.com/mugwort.html) and angelica (http://www.herb-magic.com/angelica-root.html) are helpful. To attract chtonic or darker spirits then you'd be thinking more the Black Arts products and herbs such as vandal root (http://www.herb-magic.com/vandal-root.html) and mullein (http://www.herb-magic.com/mullein.html). 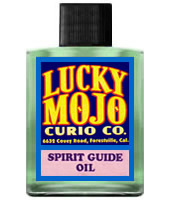 If you wanted to work with graveyard spirits, then graveyard dirt is required, which you can read more about here: http://www.luckymojo.com/graveyarddirt.html. I can attest to Black Arts, wormwood, and mugwort being great for calling spirits. I'd also recommend, especially for more benevolent forces, the Abra Melin products. These are based on the formula in the Old Testament for the oil and incence of Jehovah's Temple. Abra Melin and Black Arts are probably my favorite LM formulas so far. Also, in the Native American tradition, sweetgrass is said to draw only helpful spirits. Frankincense, Myrhh, and Copal are excellent as well. Copal is traditional in South American native traditions for communing with the dead, and I have found it to be excellent for that work. What technique is good to attract these good forces? As we got herbs now we need some incantation or ritual there is found any good? MWn-- hold the herbs in your hands and pray to the Lord to permit good spirits to come to you and help you... and to keep bad spirits away. Hoodoo doesn't go in much for formulaic rituals like ceremonial magic does. A rootworker's altars, though they can be very artistic and beautiful, look more like workbenches than worship space. Some hoodoo rootworkers use the Lesser Key of Solomon (which you can google), mostly dispensing with the elaborate rituals and drawing or photocopying or printing out the seals for use in appropriate spells. Some of those seals are designed to command particular spirits. You will find many of them in the 8th, 9th and 10th Books of Moses. For the most part, hoodoo folks pray extemporaneously from their hearts. Many of them also pray with the Psalms according to the attributions developed in the 17th century by the "Monks of the Wickahisson." These attributions are preserved in Godfrey Selig's "Secrets of the Psalms" and the online psalter at the AIRR website. As to ritual, hoodoo focuses more on spellwork -- rituals to get results. Even something as elaborate and demanding as going to the crossroads is focussed on gaining a particular skill, be it gambling, guitar-picking, or anything else your hands can do. Now, to attract good spirits, what can you do? Light a series of candles on a petition to friendly spirits (or spirits suitable to the "black arts," if that is your gift and desire). Develop your scrying powers with a crystal ball or black scrying mirror, as P. B. Randolph did. Perform divinations according to your most reliable methods, inviting spirits to communicate with you. Build a little spirit house on your property -- especially for the more rambunctious spirits. But now we are straying beyond traditional hoodoo work. I've made a jar to attract spirits and used gravyard dirt and black arts powder, Now where would be good to bury this? other than a graveyard? What is the purpose of your work? Why are you attracting the spirits? For what reason? I want to have a note in a jar, and have spirits attracted to the note. A note? Like a petition paper? Why do you want them attracted to the note? It's just hard to provide advice when you're not really giving us a clear picture of what it is you're trying to achieve. Yes a petition for their help. I am not trying to be mean, but depending on what you are seeking help with, there are easier ways to attract spirits to aid you other than using graveyard dirt and black arts powder. Please realize that there are spirits that specialize in all matter and areas of life. It just takes some research from you to find the one willing to work with you. And since you have provided no other information, we can not offer any more advice. Wish you the best. It's for a binding love spell, I want to place the petition in a jar and attract spirits to the jar and petition to give me their help. Well, then you're going to need to ask for the spirit's help directly, and receive their approval, BEFORE doing any work. Just attracting spirit-attention to a petition does nothing, in and of itself. It's like standing on the corner ringing a bell hoping that it will attract the attention of someone to bring you a donut. Lots of people may be curious and come looking at why you're ringing the bell, but unless you let them know and ASK them if they'd be willing to bring you a donut - you're not very likely to get a donut by doing so! There are also lots of different kinds of spirits, and you'll need to figure out what kind best suits your needs - graveyard, ancestral, plant, grimoire, etc. It seems that you're aiming for graveyard spirits since you're using graveyard dirt. However, the graveyard dirt from LM is from a specific set of spirits who have agreed to work for LM customers' various needs - it's a link to a SPECIFIC spirit. It's not a medium to attract graveyard spirits in general. In conjure we work with specific spirits, not just try to attract random spirit attention and then hope one of them can help us. We make sure that the spirits we work with are willing and able to aid us before charging them with any work. Since it seems from your questions that you're new to the practice of spirit-work, I would suggest that you start with a consultation with a professional rootworker who can help you discover what is the best means for you to get what you what. For instance there are MANY binding love spells out there that do not involve graveyard or other cthonic spirits (which are what would most likely be attracted by Black Arts), and some that do. I'm sure you can find a working that will be effective for your case, if it's justified, and well within your skill and knowledge set; or if it's outside of it, you can hire a worker to perform on your behalf. Ok so what your saying is, I need to get a bell and some donuts then ring the Bell and give the ghost a donut? What kind of spirit would usually do this kind of thing and how can I ask them? I would like to try it myself, as I do want help in this situation, but I'm also interested in hoodoo in general. If you'd like to learn this type of work, I would suggest that you contact one of the AIRR members to give you some magical coaching on the matter. That way you'll get instruction in exactly the type of work you're looking to learn, you'll get exact instructions for your needs, and you'll get mentored through the process. It will be the best possible way to learn! I would invite you to check out the fantastic book Communing with the Spirits by Martin Coleman whch you can find it here. I have been coming across a lot of directions that mention to ask the spirits but I don't understand. For instance, there was a contact me spell I found somewhere in these forums that used sage and sweet grass and I was told to ask the spirits to send my message. I didn't really know what to say. I basically said spirits of this sage please send my message to johndess doe. Do you think that was too impersonal? Is there a specific spirt of the sage that I should know about? Johndess doe never called and it's been weeks. 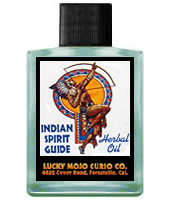 Herbs, roots, and other items used in hoodoo have a spiritual energy that resonates with certain uses. This is why we use certIn ingredients for certain types of work. You want to treat these herbs with respects, as they are a gift from whatever you want to think of the higher power as. Hoodoo is rooted in a Protestant Christian background, so that power is often defined as "God". If you are comfortable with that tradition, your calls to Spirit can be prayers, calling on God to see your work done. If you are not a Christian, or are uncomfortable with that tradition, you can simply call to Spirit, or to the specific spirits of your ancestors, if you work with the dead. You can encourage the herbal components of a spell to work for you, speaking to each part as you assemble and work with them, but your final call, the casting of the spell, should be to something higher, or beyond, however you define that. You're welcome. I would be remiss to presume to tell anybody else what to believe, or how to practice, but this is my understanding. If it works for you, I'm glad I could share it. Also, the longer you work with specific herbs, roots, curios, etc the more you will come to be familiar with their spirits and how to work with them. It takes time, but is VERY rewarding. Both the root doctor and the herbalist in me heartily, very much, über support that statement Joseph. They have a language, presence and personalities all their own. This simple statement has helped me more than any other: spend time with the items you will be working in tandem with and they WILL reveal themselves/spirit to you. This takes time, patience, and an open heart/mind. The time spent is worth more than 100 books on the subject, though. Real magic, folks! Spirits of candles: The way I look at this is that the candles are wax which very easily absorb your intent and thoughts just as easy as the will almost immediately pick up one of my fingerprints. That is why I love using proper oils for my candles because they have the essential oils of the herbs, etc in them and I can speak directly to that. I also love to roll my candles in the appropriate herbs as well as sometimes circling the candles with an herb or herbal mixture directly related to the situation. The candle is a symbol and conduit for you petition, prayer, or "command." Heh...I read aura's reply the same way the first couple of times, Joseph. I agree with you completely about candles. They strike me as the most willing of assistants. Aw, thank you aura! You edited it to make it very, very clear! There is a lot of Great information above in this particular topic, as I have been interested in Summoning Spirits for a long time and read a few very good books one can find on Amazon etc. Evocation types. I wish to take a more "milder" and less hassle approach than erecting a room with circles, Solomon seals and other apparatus as most of you are well familiar with and use my Black mirror , incense, and dressed candle approach which a few of you have so generously given above. Keep it simple, Huh? Which type of Incense and dressing should I use for skrying those "neutral to dark nature" spirits (OK Goetia types) and which ones are best for the more benevolent spirit guide and Enochian type angels. Oh, I WAS once at your LuckyMojo Store in California and spent some money and a few wonderful hours there. Great place! Hope to return soon! I was wondering what to do with a spirit I captured in a bottle. Said spirit was bothering a friend of mine, causing him accidents and to mess him up at work. I managed to coax it into a bottle filled with Spanish moss, rusty nails, devil shoestring, and whiskey, which I topped and bound with a length of copper chain. I don't feel it's a particularly powerful spirit since it went into the bottle so easilly, nor do it feel that it is a really evil spirit. I was contemplating releasing it in lieu of burying it as a cemetary. This is my first time using a spirit trap. Any thoughts? Please and thank you. Bury it in a graveyard or toss into a river. Just an additional note: In hoodoo practice it is the custom to return home over water -- crossing a river or at least a little stream. The spirit cannot easily cross and is likely to stay behind. ...and that is *always* a good thing to remember! Tahnk you miss cat. I've read about a superstition that vampires, demons, and other supernatural beings cannot cross running water as well. Is it because rivers are considered spiritually charged elements? Or is it because it represents cleansing and baptism? Seems to be running water in particular. I have been looking for books written about this, or even mentioning it and its origins. Some people state that it is the action of crossing running water that keeps spirits from gaining free passage.